Have an old, stripped out or cracked back cap? 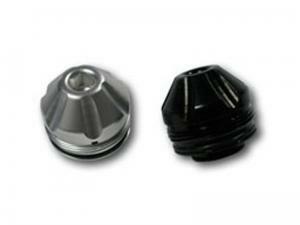 Replace that plastic thing with an aircraft-grade aluminum cap from Custom Products. The CP PM Rail back cap vents 40% more air than the stock cap, improving bolt cycle time and increasing the rate of fire.